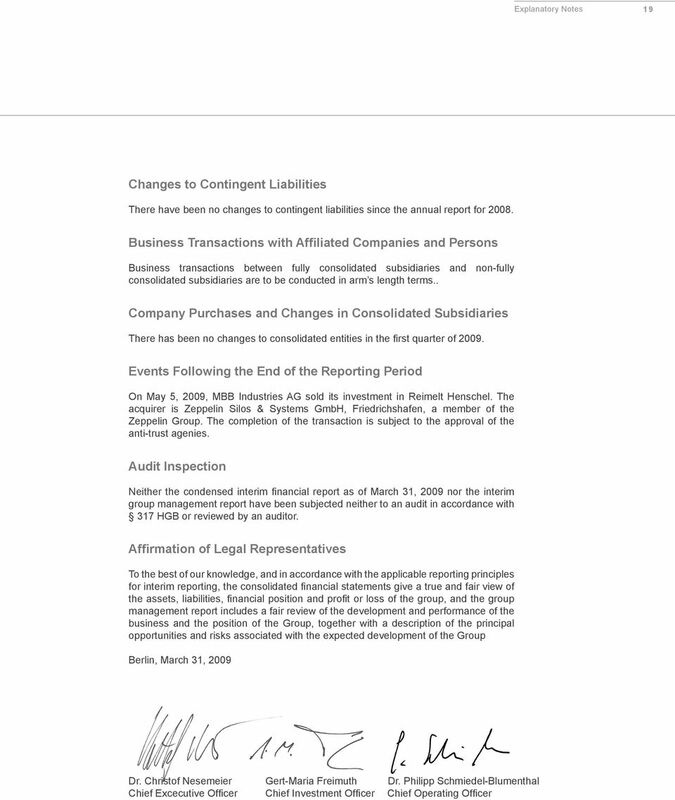 Download "Quarterly Financial Report March 31, 2009. 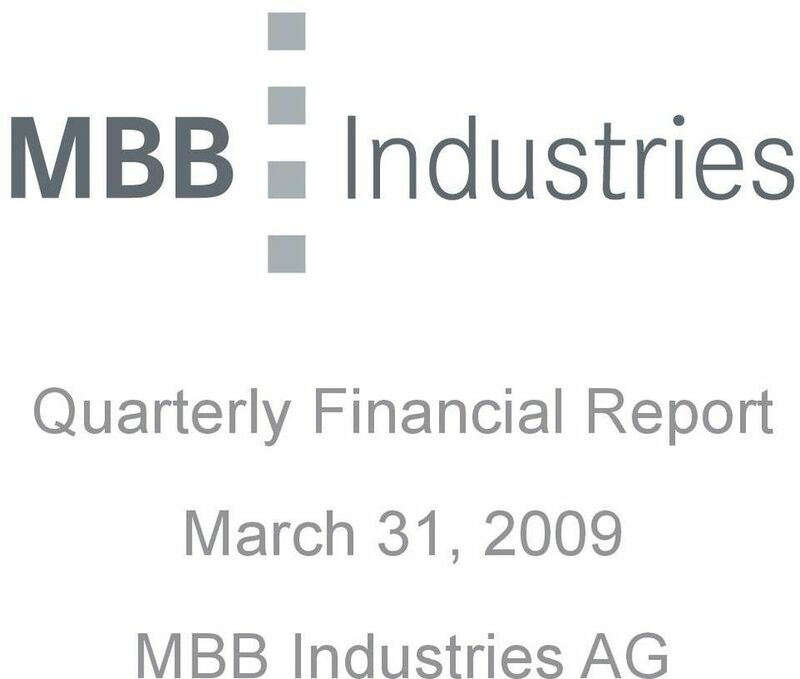 MBB Industries AG. 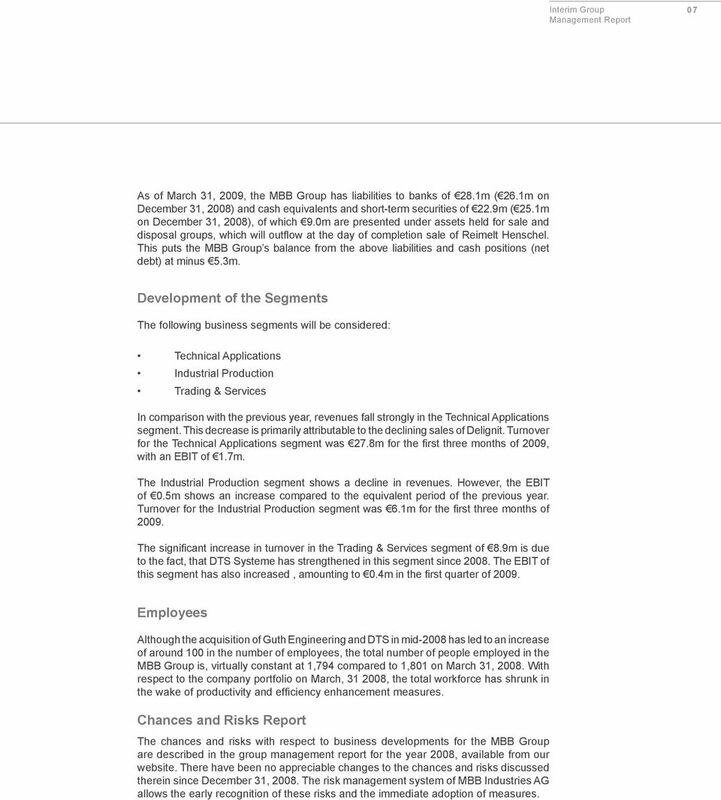 Berlin"
6 06 Interim Group Management Report Interim Group Management Report MBB Industries AG is a medium-sized investment company, which together with the companies in its portfolio, forms the MBB Industries Group. General and Business Conditions The worldwide financial crisis continues to place increased strain on the real economy. This will continue to impact on the economic trends in our companies markets in the coming months. This could lead to a slowdown in the value development of MBB s existing portfolio slowing down with respect to previous years. At the same time, however, opportunities for purchasing new holdings are improving, since an increasing number of companies is being offered for sale and their sale prices are falling. 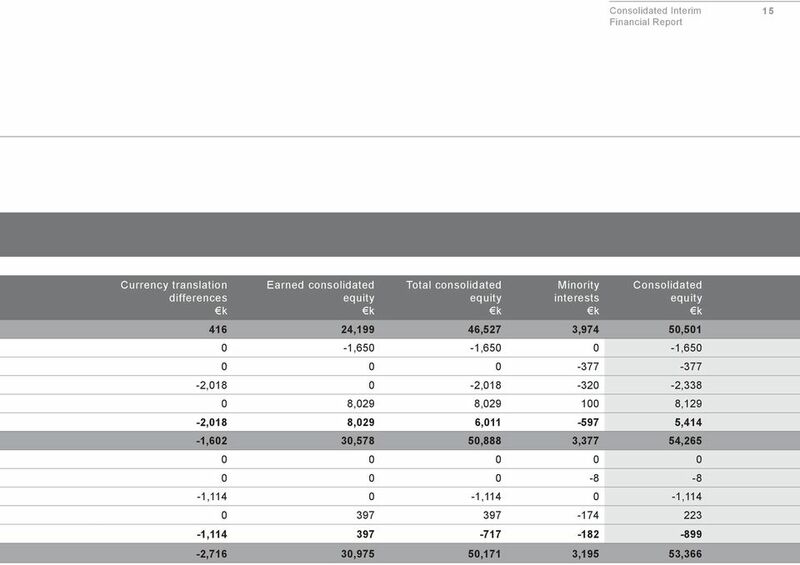 MBB s equity capital resources and cash position provide excellent chances of continued growth through acquisition. Earnings, Assets, and Financial Situation The first quarter of the previous year was strongly effected by the financial crisis. This has impacted on the portfolio companies in different ways. This said, we report as follows: Thanks to the solid base inherited from the year 2008, the asset and financial situations continue to be positive. 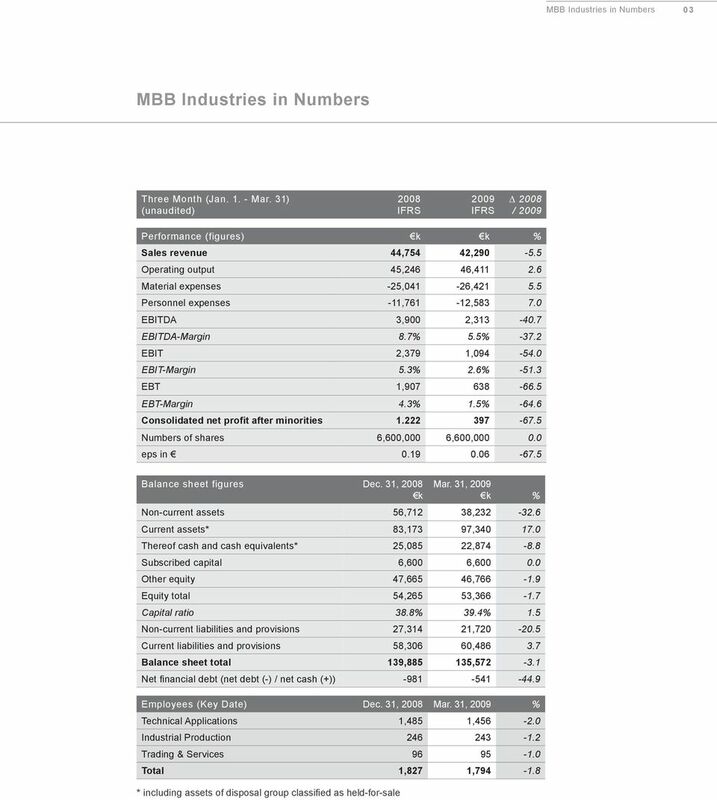 The MBB Group s consolidated turnover for the first three months of the year decreased by 5.5% to 42.3m compared with the corresponding period of the previous year ( 44.8m). 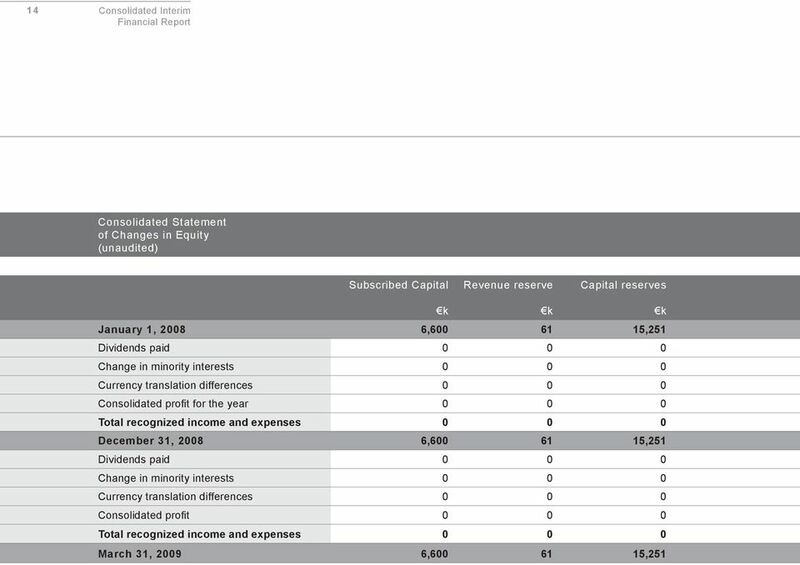 The operating result for the same period increased from 45.2m in the first quarter of 2008 to 46.4m in 2009, a rise of 2.6%. This was due to a rise in stock of work in progress and finished goods of 2.0m (in 2008: the stock of finished goods and work in progress decreased by 1.7m). The other operative earnings of 2.1m changed only slightly against the previous year ( 2.2.m) and stem from other services, revenue from exchange rate differences, and the reverse of provisions. 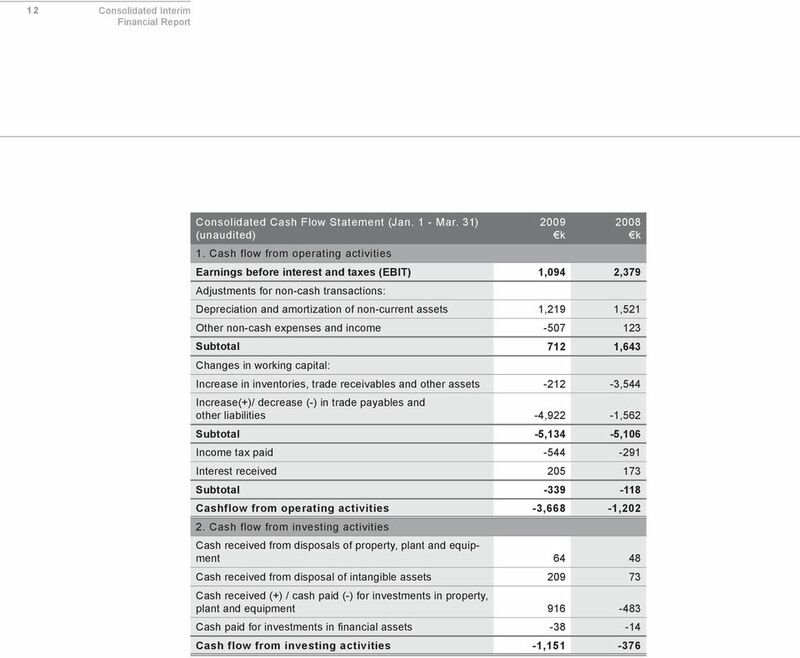 Material costs increased from 55.3% to 56.9% with respect to the operating result. 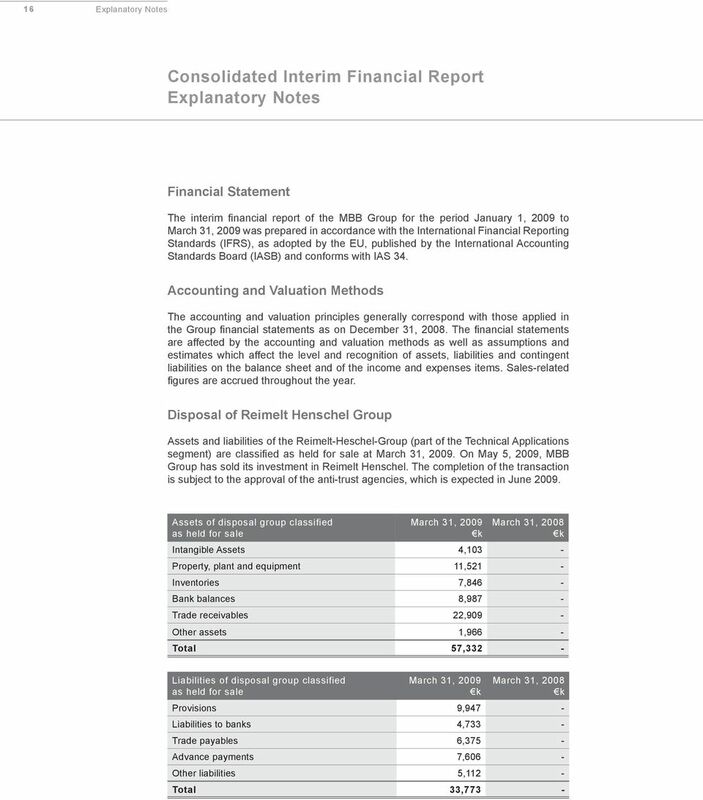 This was triggered by the changes to the group s real net output ratio resulting from the takeover of the DTS Company at the end of June The EBITDA (earnings before interest, tax, depreciation and amortization) attained a level of 2.3m, representing a decrease compared to the equivalent period in the previous year ( 3.9m). At the same time, the EBITDA margin fell from 8.7% to 5.5%, caused by the current economic situation, and changes in the composition of the holding portfolio. 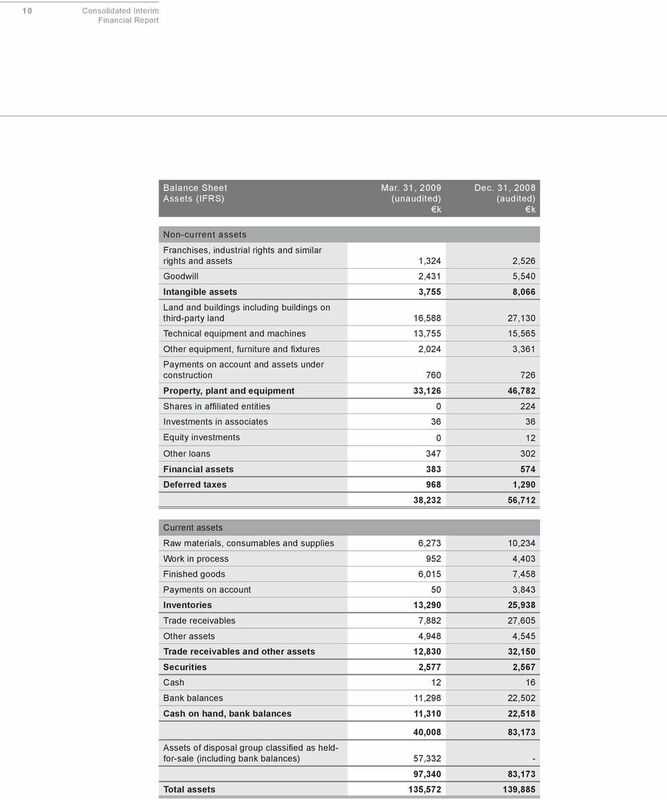 The EBIT (earnings before interest and tax) of the MBB Group reached 1.1m for the three month period just ended ( 2.4m in the equivalent period of the previous year). 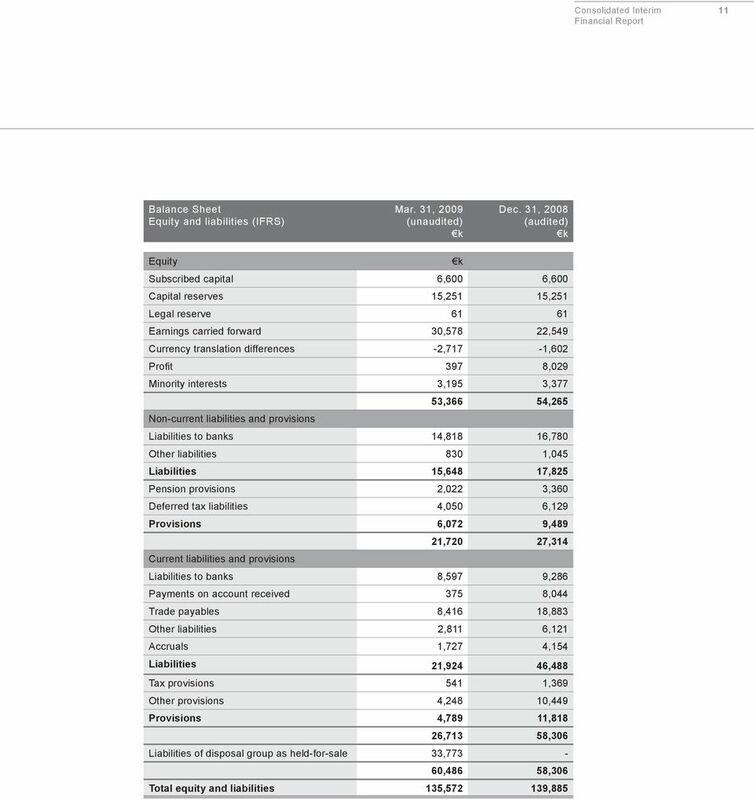 Taking into account the financial result of minus 0.5m, EBT (earnings before tax) stands at 0.6m ( 1.9m in the equivalent period of the previous year). This puts it at 1.5% of sales revenue (4.3% in the equivalent period of the previous year). 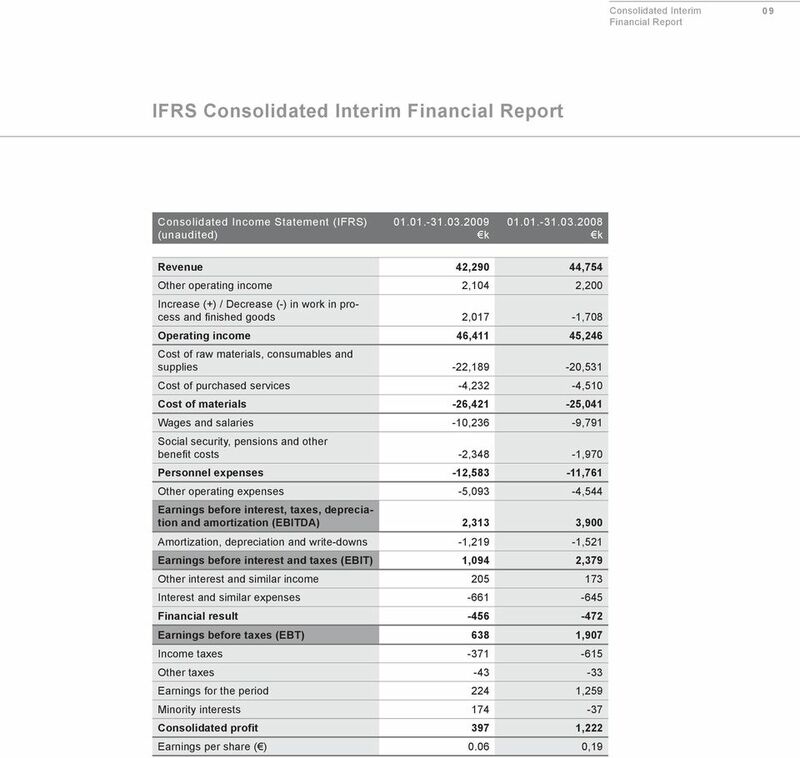 Consolidated profit for the year after minority interests was 0.4m, which is rather small compared with the profit for the first three months of The consolidated interim financial statements of March 31, 2009 show an equity capital of 53.4m ( 54.3m on December 31, 2008). A factor in this context are the movements in foreign exchange rates. 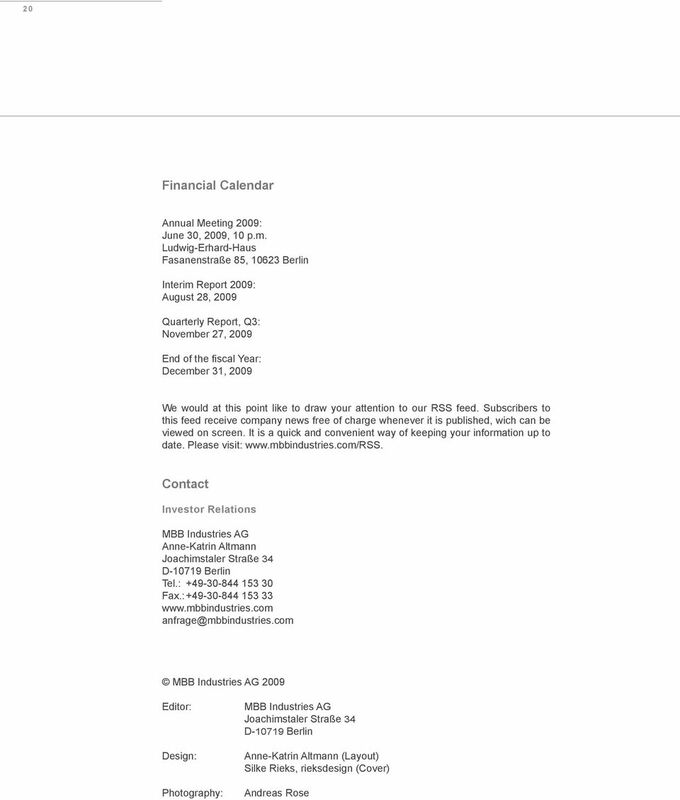 Oriented to the consolidated balance sheet total of 135.6m, the MBB Group has a capital ratio of 39.4% (38.8% on December 31, 2008). 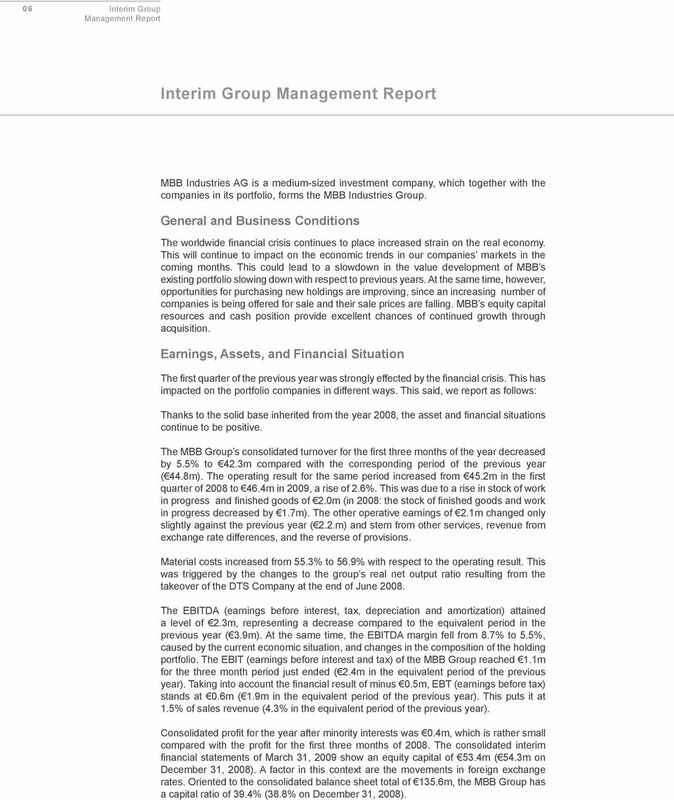 7 Interim Group Management Report 07 As of March 31, 2009, the MBB Group has liabilities to banks of 28.1m ( 26.1m on December 31, 2008) and cash equivalents and short-term securities of 22.9m ( 25.1m on December 31, 2008), of which 9.0m are presented under assets held for sale and disposal groups, which will outflow at the day of completion sale of Reimelt Henschel. 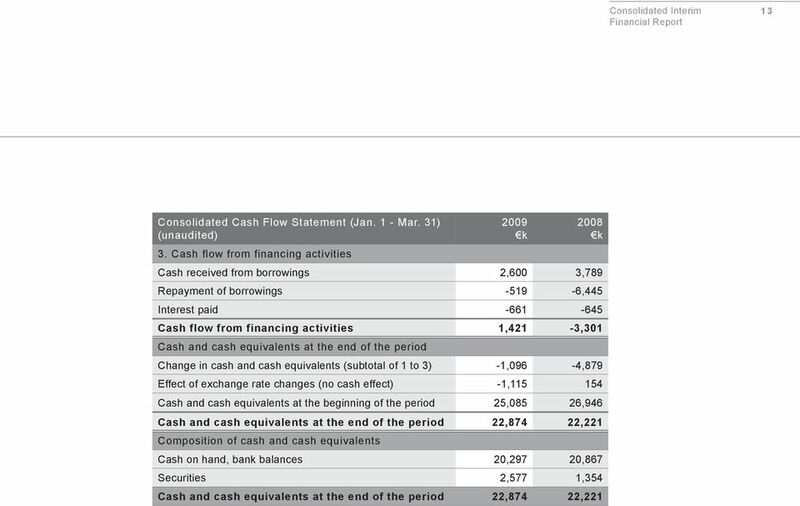 This puts the MBB Group s balance from the above liabilities and cash positions (net debt) at minus 5.3m. Development of the Segments The following business segments will be considered: Technical Applications Industrial Production Trading & Services In comparison with the previous year, revenues fall strongly in the Technical Applications segment. This decrease is primarily attributable to the declining sales of Delignit. 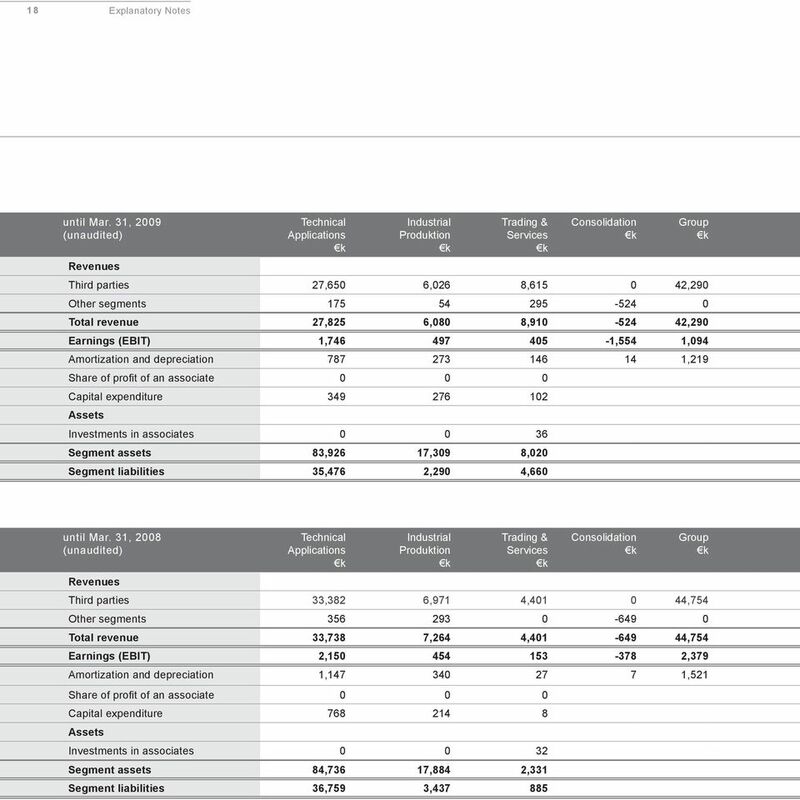 Turnover for the Technical Applications segment was 27.8m for the first three months of 2009, with an EBIT of 1.7m. The Industrial Production segment shows a decline in revenues. However, the EBIT of 0.5m shows an increase compared to the equivalent period of the previous year. Turnover for the Industrial Production segment was 6.1m for the first three months of The significant increase in turnover in the Trading & Services segment of 8.9m is due to the fact, that DTS Systeme has strengthened in this segment since The EBIT of this segment has also increased, amounting to 0.4m in the first quarter of Employees Although the acquisition of Guth Engineering and DTS in mid-2008 has led to an increase of around 100 in the number of employees, the total number of people employed in the MBB Group is, virtually constant at 1,794 compared to 1,801 on March 31, With respect to the company portfolio on March, , the total workforce has shrunk in the wake of productivity and efficiency enhancement measures. 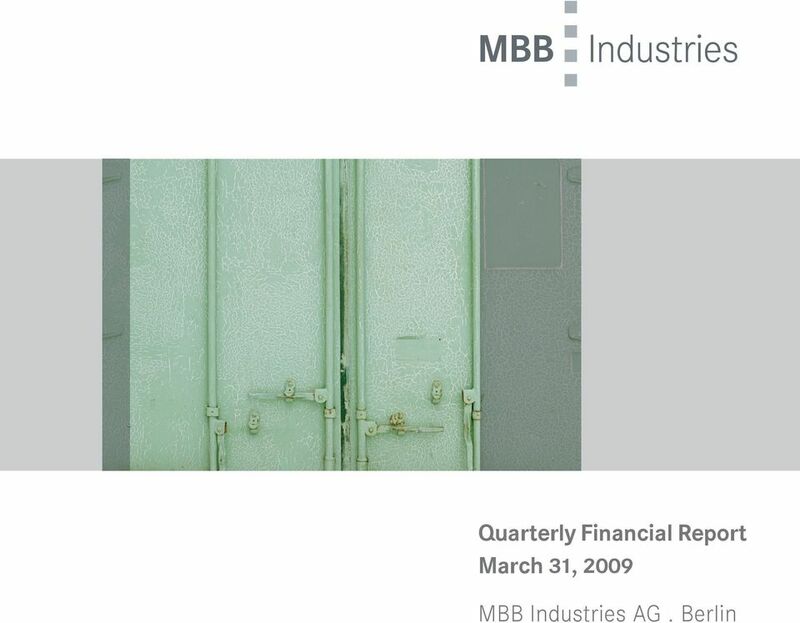 Chances and Risks Report The chances and risks with respect to business developments for the MBB Group are described in the group management report for the year 2008, available from our website. 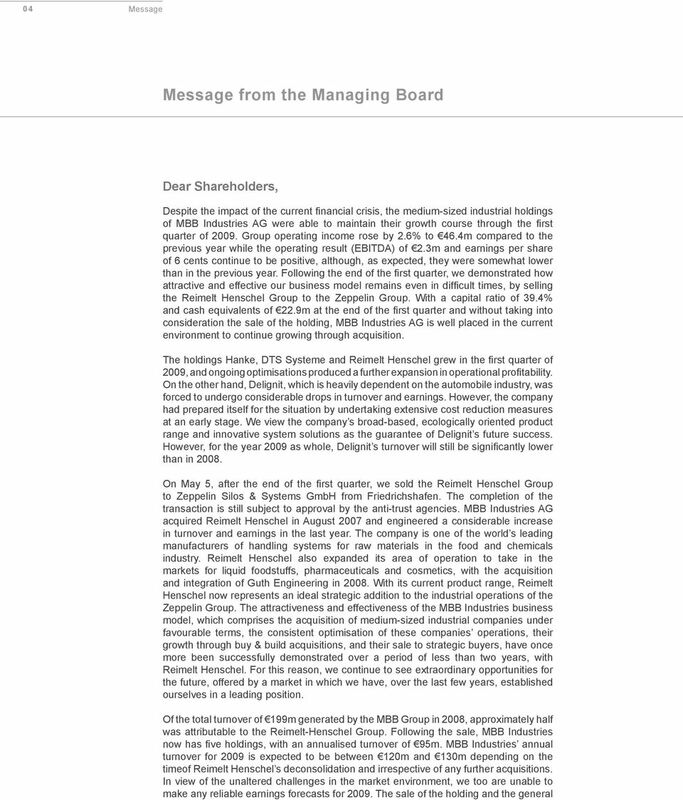 There have been no appreciable changes to the chances and risks discussed therein since December 31, The risk management system of MBB Industries AG allows the early recognition of these risks and the immediate adoption of measures. 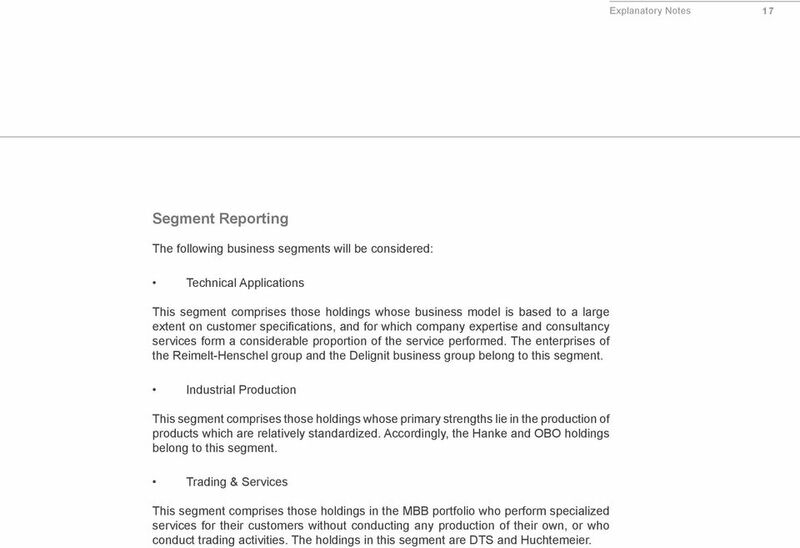 17 Explanatory Notes 17 Segment Reporting The following business segments will be considered: Technical Applications This segment comprises those holdings whose business model is based to a large extent on customer specifications, and for which company expertise and consultancy services form a considerable proportion of the service performed. The enterprises of the Reimelt-Henschel group and the Delignit business group belong to this segment. Industrial Production This segment comprises those holdings whose primary strengths lie in the production of products which are relatively standardized. Accordingly, the Hanke and OBO holdings belong to this segment. Trading & Services This segment comprises those holdings in the MBB portfolio who perform specialized services for their customers without conducting any production of their own, or who conduct trading activities. 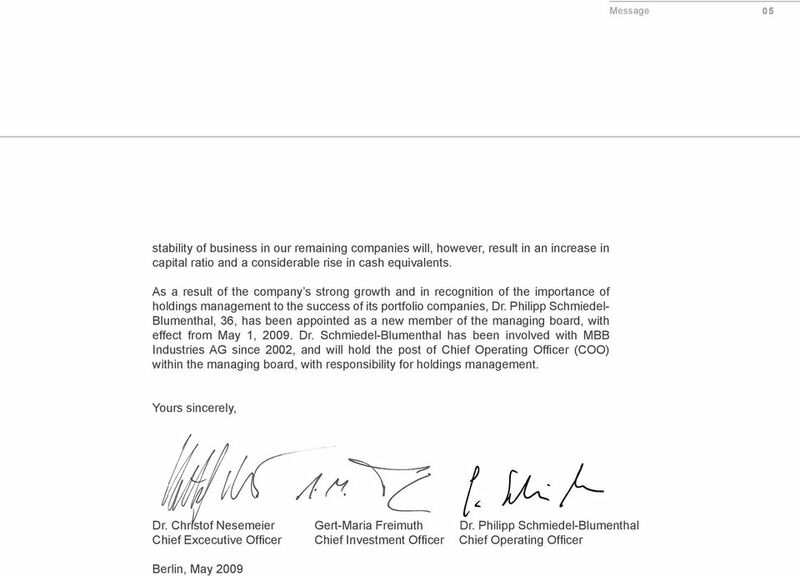 The holdings in this segment are DTS and Huchtemeier. 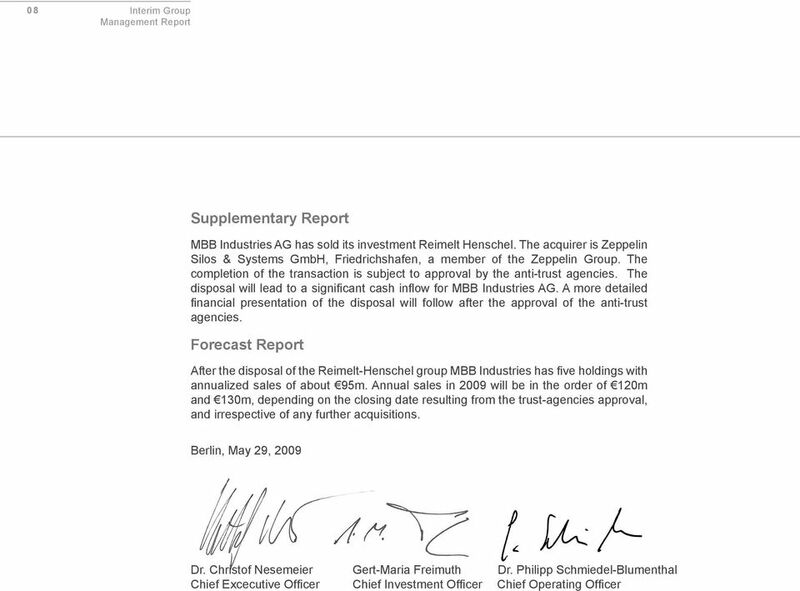 22 MBB Industries AG. Joachimstaler Straße Berlin, Germany.